Although I've read a number of gardening books, I seem to have been having terrible luck with one container garden. Finally, I tossed all the soil and read this book. After realizing the draining system was not in place, not to mention I was using the wrong soil and the root system was in a tangle, I finally was able to create a fuchsia and violet themed flower garden complete with Daddy Blue Petunias, Easter Bonnet Violet Alyssum and pink Bearded tongue. The Columbine flowers are mixed in someplace and I think I have to rescue them from the petunias that are now taking over the planter. Page 135 shows how to drill holes in the base of the planter, which was very needed. Then, while at the store, I accidentally dropped a clay pot, which was just perfect because you use the broken pot pieces to ensure free passage of water through the potting mix. The Miracle Grow potting mix now also has some water-retaining crystals mentioned on page 151. 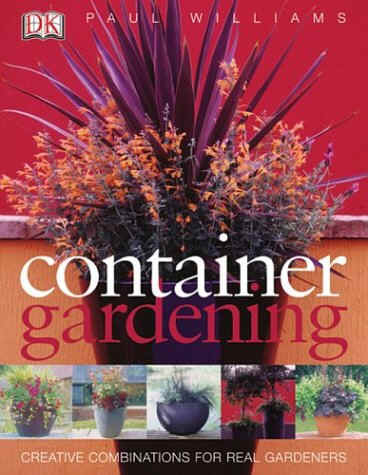 By reading this one book you can learn everything you need to know to set up your own container garden in short order. - Paul Williams original arrangements with close-up shots of every plant featured. - Detailed sections on how to water, choose pots, move heavy pots and design arrangements. 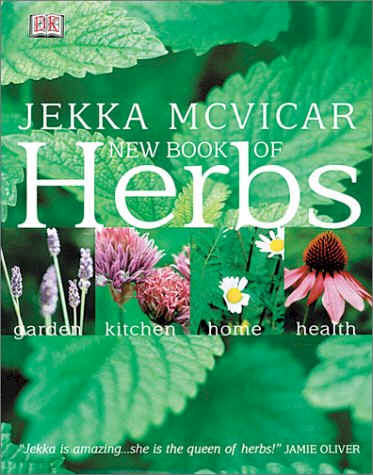 - Interesting arrangements with "ingredients, planting details and container details." The arrangements all have themes. You might want a low-maintenance pink arrangement filled with Osteospermum jucundum (delicate pink daisy-style flowers) or create a lively arrangement bursting with golden stars (Bidens ferufolia). Many of the arrangements also help to set dreamy moods, like the Purple Haze with the fuzzy lotus hirsutus meandering with blue trailing petunias. Paul Williams was trained at one of the UK's top horticultural colleges and is a regular contributor to horticultural magazines. His ideas are practical and inspiring. I was so happy to read this book! Now I can look out of my bedroom window and see a beautiful, long-lasting arrangement inspired by Paul Williams.